It’s not always obvious who is at fault in a slip and fall case. This is why having a defense lawyer is so important because without someone to represent you, liability will fall in the lap of the defendant. For all property owners, it’s important to first be in contact with your insurance carrier when an accident happens on your property. It’s also important to take pictures of the property immediately after, especially if it seems there are no issues with your property. Take down the names of anyone injured and anyone who may have witnessed the accident. The law office of Brooke M. Barnett will work to resolve current slip and fall cases and to prevent future ones from happening. If there is a permanent inhibiting issue on your property, owners are to make immediate efforts to fix these problems. 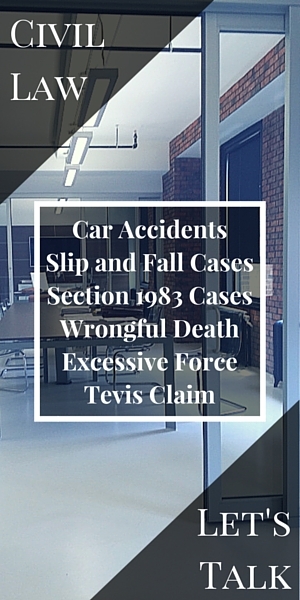 We understand that each case is different and will present a case specific to your particular needs. It’s important to be prepared that an injured party, whether at fault or not, make attempt to take legal steps against you. If you or some or someone you know needs a defense lawyer for a slip and fall case, contact us at Brooke M. Barnett’s law office in Newark, NJ today for a legal consultation.